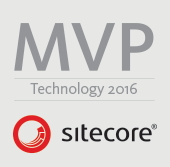 I have recently started working with Sitecore MVC using glass mapper. In my project I have several view renderings where I need to access the details of datasource item and as well as current context item. I knew that GlassView class takes the type of model as generic type argument and then if there is data source mentioned for the view rendering then it creates the model from data source item otherwise it creates the model from current context item. 1. ContextItem Returns the item specified by the current context item. 2. DataSourceItem Returns the item specificed by the data source only. Returns null if no datasource set. 3. LayoutItem Returns either the item specified by the DataSource or the current context item. 1. GetContextItem Returns the Context Item as strongly typed. 2. GetDataSourceItem Returns the Data Source Item as strongly typed. 3. GetLayoutItem Returns the Layout Item as strongly typed. 4. GetRenderingParameters Returns the parameters as strongly typed. This helps a lot in working with view renderings and the same can be done for parameters. This entry was posted in C#, Sitecore and tagged Glass mapper, Sitecore MVC. Bookmark the permalink.